Joshua Slocum was the first man to sail around the world alone in a small boat. He personally rebuilt an 11.2 metre sloop-rigged fishing boat that he named the Spray. On April 24, 1895, he set sail from Boston, Massachusetts. 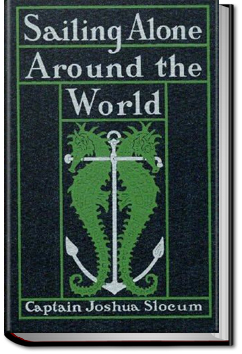 More than three years later, he returned to Newport, Rhode Island, on June 27, 1898 having circumnavigated the world, a distance of 46,000 miles.